To receive the $25 off, the appointment has to be booked during the month of June. The appointment does not have to be scheduled for the month of June, it can be any time in the future. What is a Breast Thermography? - It works by measuring the heat (infrared radiation) which is constantly radiating away from the surface of the human skin. - The thermography scans are collected by a specialized digital infrared-sensing camera and high-speed computer is used to measure and capture the scans of the heat radiated from the breasts and alongside the areas of the breast. - Breast Thermography is a physiological (functional) study, which uses no radiation, painful breast compression and is non-invasive. 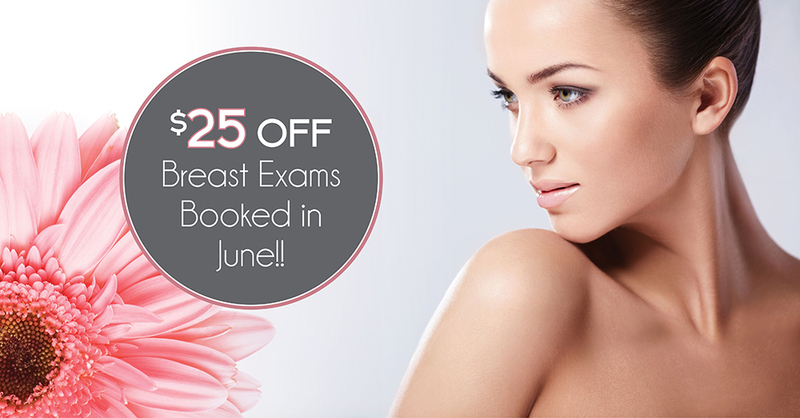 Contact our office today to schedule your exam during the month of June and receive $25 off!